Homer, Bart, Marge and the rest of the Simpson family will be available as LEGO figures soon. LEGO has confirmed plans to launch a new set of toys based on 'The Simpsons' television series, angering some die-hard fans who say the characters are not appropriate for children. The Simpsons launch, which is slated for 2014, had been rumored for months and some LEGO fans initially railed against the idea, questioning the behavior of the show's characters and its treatment of mature topics. Earlier this year, some took to LEGO's online message board, creating a petition calling on the company to avoid making any Simpsons-themed toys. "I say no to Simpsons. It is not appropriate at all for LEGO's age group. It's not really appropriate for anyone," wrote one contributor. The company has made billions off other themed LEGO toys that could also be considered unsuitable for young children, including the lucrative Star Wars line. And this is not the first time LEGO has faced criticism over its toys. An academic in New Zealand recently released a research paper noting that today's LEGO characters are looking increasingly angry and carrying more weapons. The research by robot expert Christoph Bartneck at the University of Canterbury shows the number of happy faces on tiny LEGO figures is decreasing. Thankfully for LEGO, the outrage over its Simpsons plans seems to have died down. Many fans are now taking to Twitter, saying they're excited for the launch. "[It's] 'bout time, they're already the right shade of yellow!" tweeted one enthusiast. But don't expect a big fanfare when the Simpsons set is released. LEGO spokesperson Roar Rude Trangbæk said the Simpsons line will be among LEGO's smaller launches in 2014. LEGO Group is the world's third largest toy manufacturer by revenue, after Mattel (MAT) and Hasbro (HAS). The Denmark-based firm is still owned by the Kirk Kristiansen family that founded it in 1932. Last year, global sales increased by 25% to 23.4 billion Danish kroner ($4.2 billion). 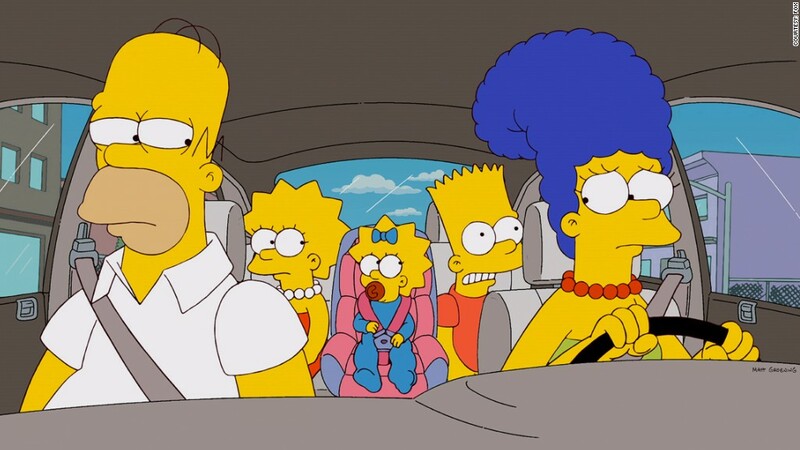 The Simpsons is the longest-running scripted show in television history and is aired by the Fox Broadcasting Network, a division of Twenty-First Century Fox (FOX). Over more than two decades, it has gained notoriety with audiences around the world for its subversive wit and funny cast of characters.